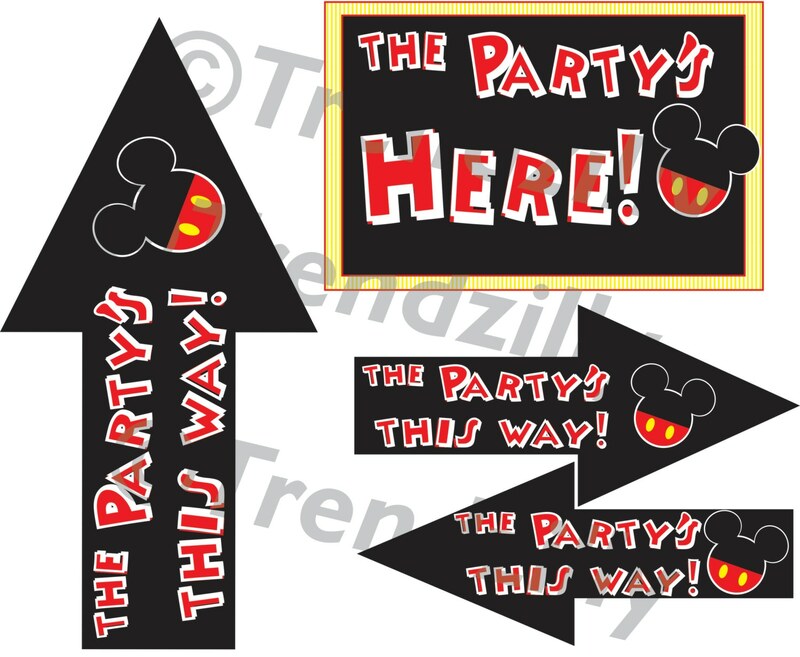 Mickey Mouse inspired Birthday Party Signs, Birthday Garland, Mickey Mouse Party Signs Printable Instant download, Happy Birthday Banner. 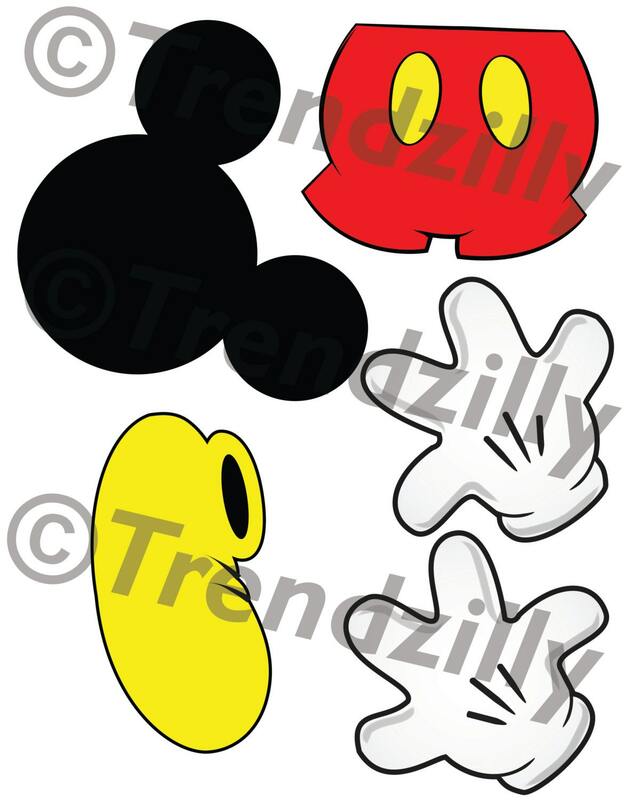 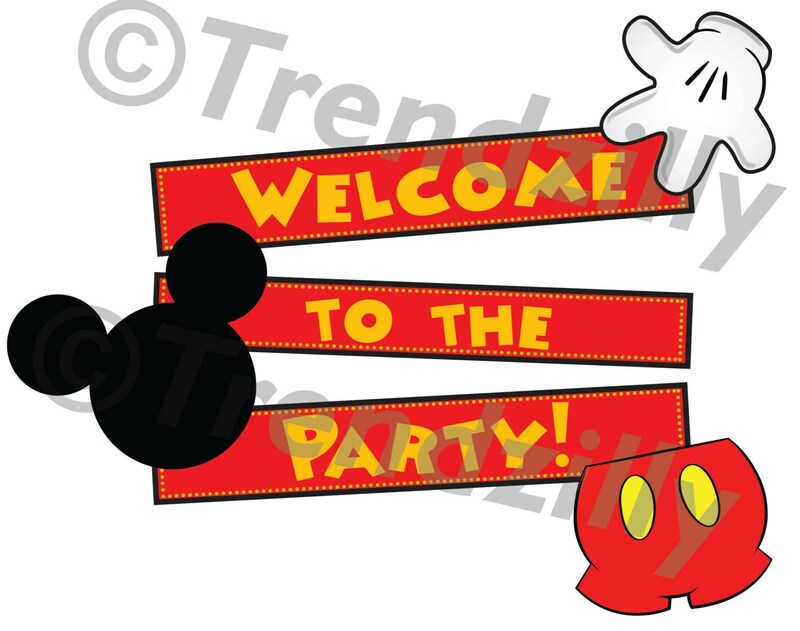 Mickey Mouse inspired Happy Birthday Signs and Garland printable. 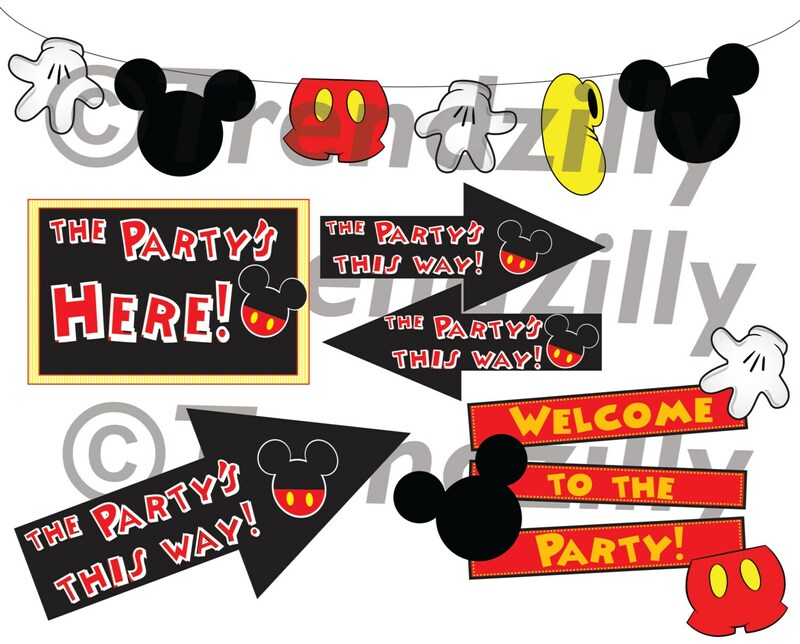 Put the finishing touch on your party with these Mickey Party Signs with Mickey part garland.